In total there will be more than 450 athletes at the Games who have been supported by SportsAid including established names like Commonwealth champions Tom Daley (diving) and Louis Smith (gymnastics) for Team England as well as rising stars like Katie Archibald(cycling) for Team Scotland and, for Team England, Helen Housby (netball) and Thomas Hamer (swimming). Thomas tweeted yesterday, "Well @Glasgow2014 starts tomorrow. No better time than to thank a few supporters that got me here. 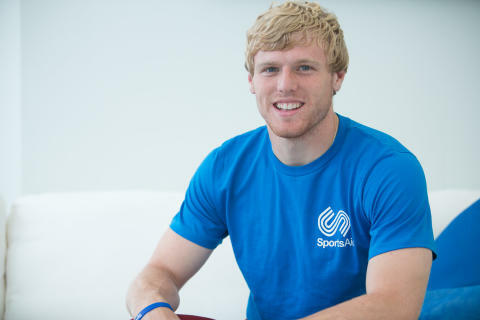 @YourSSE @TeamSportsAid #thankyou." Of SportsAid’s current supporters, Lloyds Bank and Bank of Scotland Local Heroes have supported 79 of the athletes listed below, the Jaguar Academy of Sport has supported 13, GLL has supported five, SSE has supported four, Prudential has supported four, Eversheds has supported three, RBC Wealth Management has supported one, Brighthouse has supported one and Kent County Council has supported one. The Talented Athlete Scholarship Scheme, meanwhile, has supported 130 of the 464 SportsAid athletes who will be competing in Glasgow this week and next, all of whom are listed below in their respective teams. More than 200 British athletes who have received support from SportsAid won medals at the Glasgow 2014 Commonwealth Games, winning 58 gold medals, 101 silver medals and 82 bronze medals between them.